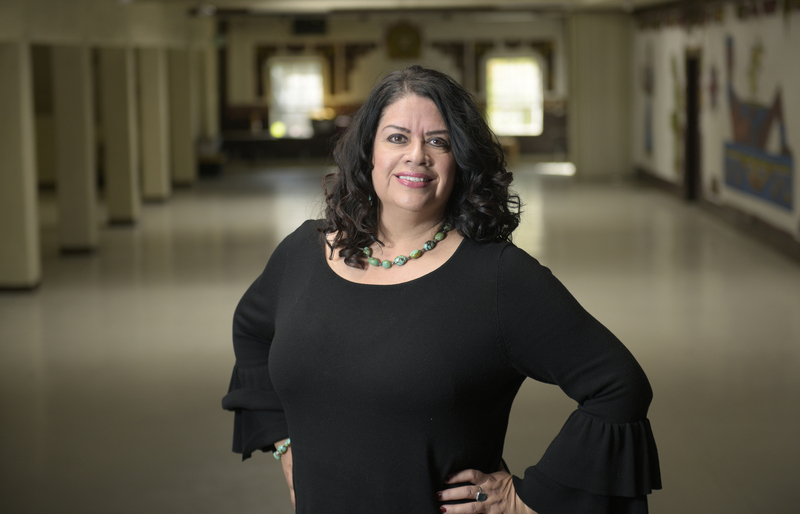 For about 15 years, Raquel has been the director of La Caza De La Raza, the East Montecito Street center founded in 1971 to provide a center for empowering Santa Barbara’s Latino community. In recent years, the organization became entangled in financial and real estate turmoil, and its future remains clouded in concern, as has been extensively documented in this newspaper. Being Latino myself, Raquel and I start sharing a lot of common experiences. She tells me how much she loves the Spanish word “convivir,” which means to share and live. That verb is a perfect analogy to what her life’s mission has been all about. In the year 2000, Raquel worked with Nancy Davis on restorative justice programming for the Community Mediation Program, a job that taught her about reciprocity. “It’s about giving and taking,” she elaborates. “Just because you make a mistake it shouldn’t bind you.” She was the city’s first bilingual restorative justice practitioner. Raquel Lopez answers the Proust Questionnaire. Hopeful, excited about the next steps in my future. Heights, learning to overcome that fear. I have climbed ruins, walked along bridges. I respect folks in history who made sacrifices, took risks, made change, made an impact. Being in nature alone and being in nature with my loved ones. People who overcome incredible obstacles, find success, and then give back to those folks overcoming incredible obstacles. Reciprocity, to give and receive it always amazes me. Traveling has been a lifelong extravagance. Okay, and shoes and music concerts too. Greed, thievery, appropriating the truth. Truth and loyalty and the keen ability to acknowledge and laugh at our idiosyncrasies. Making others feel at ease and heard. I’m a good listener and remember everything folks share. No hay amor sin interes. Sweetie/mijo/a. What??? Make more time to spend with people I love and do more of the simple pleasures like reading, cooking, hiking. Being mother to Joaquin. It’s the most profound and life-affirming achievement. A small town in France or Mexico. My mother crocheted a bedspread for each of my sisters, spending years on each one. I love mine, it’s so precious, special, and beautiful. It’s not put away. I see it every day and think of my mom’s love and commitment to her family. My son, my boyfriend, my sisters. I am horrible at lying. I try not to do it, my son always knows when I am fibbing. We just crack up each time.